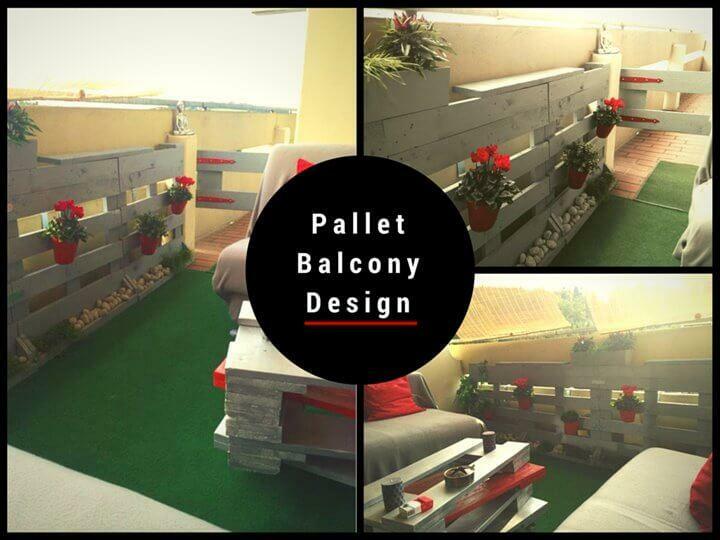 One of our coolest friends has just shared this awesome DIY pallet project with us which you will really like to add to your home! Always spending a lot of money while renovating some exclusive and most visited portions of home? Now its time to say good bye to those embarrassing higher prices, get pallets in hands and build anything you are in dire need of! 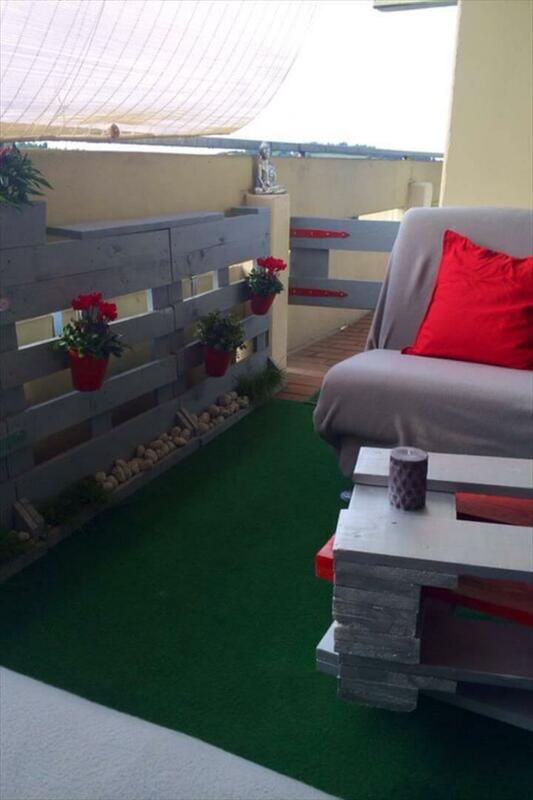 This DIY pallet balcony decoration project has pretty simple yet heartwarming details and our friend has put his own creative effort to mimic a comfortable garden place! 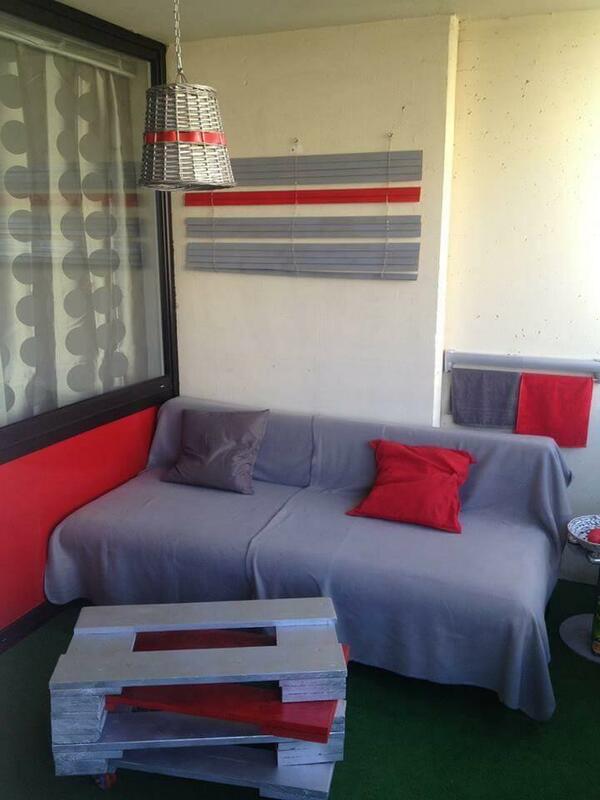 The according grey, red and green colors have been used for this complete balcony remodeling! 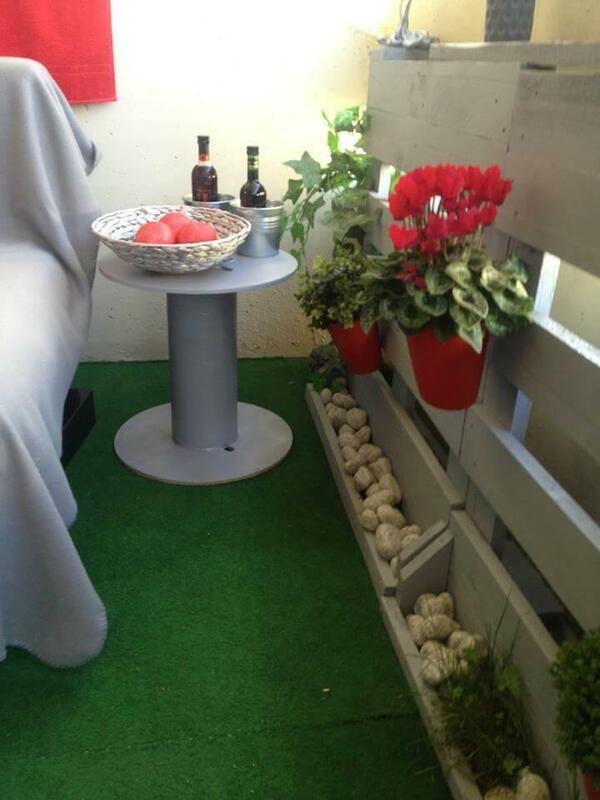 Some pallets have been combined together to provide a solid boundary and fence to balcony space and it also contains some shelves and hung up flower pots to appear also as a pallet vertical garden! Two brilliantly made cushioned DIY pallet sofa designs have also been a part of this construction to full fill your comfortable sitting demands there! At the end of project, some leftover pallet boards have been readjusted, stacked and creatively installed to give a dual toned pallet coffee table to be at the front of your seated persons! Build some vertical planters that would also serve as fence to create a faux garden space! 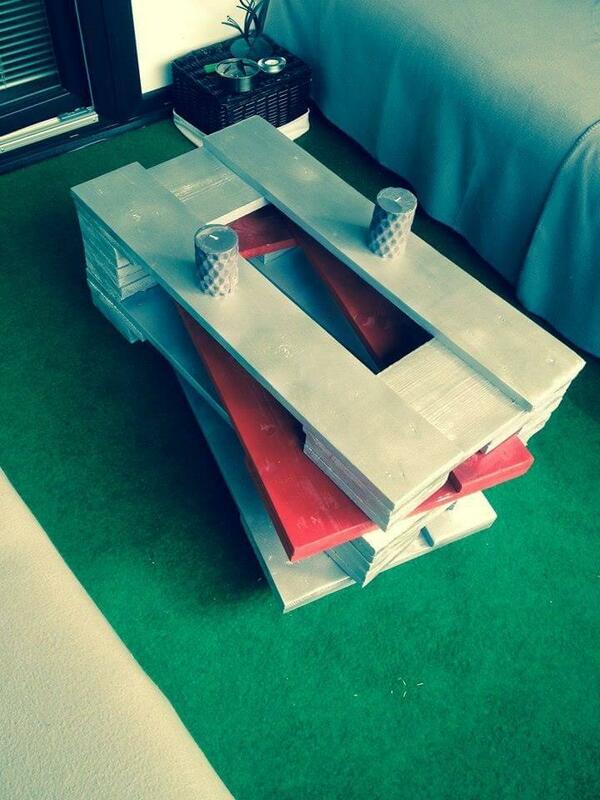 Coffee table built to be at the mid side of your balcony sitting furniture! 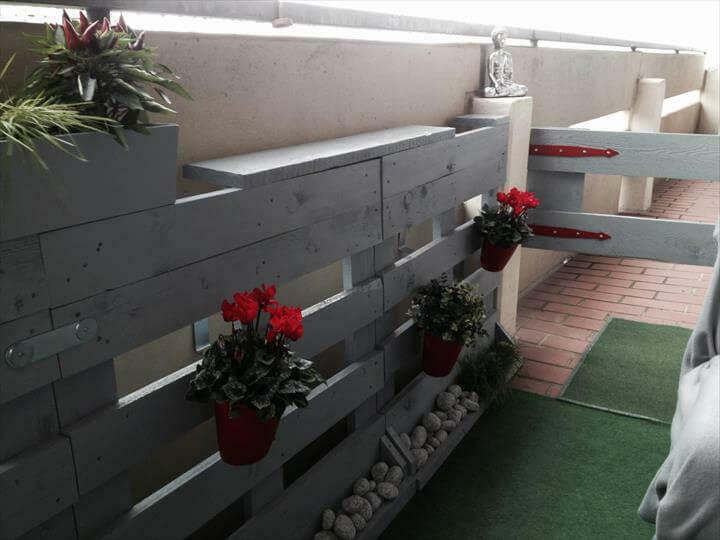 Using red, grey and green paint a faux garden theme has been given to balcony with bigger decorative statements! 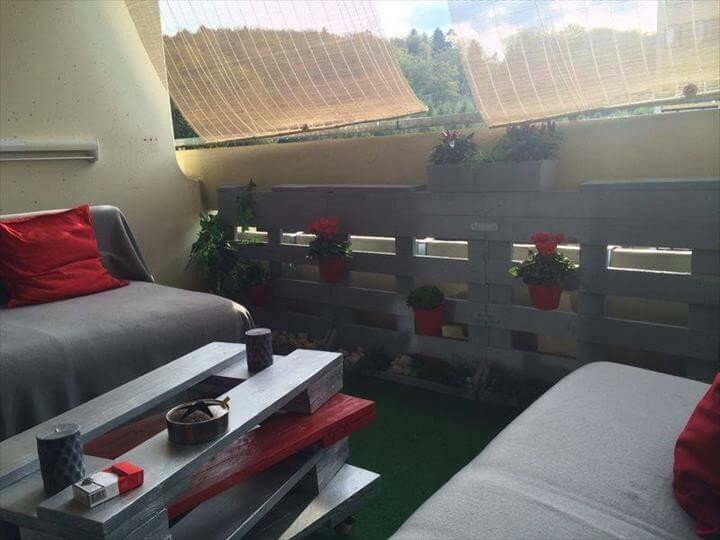 This remodeling of balcony into faux garden also involves some sitting plans like this sofa! This vertical pallet wall serves as both a vertical planter and a chic garden fence, perfect to imitate a garden theme! Green carpet has exclusively been used to mimic the garden grass and moss, a useless cable spool has also been added as side table!